At some point in the final quarter of this year – and the exact moment differs, depending on who you believe – mySociety turned ten. Our Director Tom, mySociety’s founder, describes this as “a frankly improbable milestone”. He has seen mySociety grow from an idea on the back of an envelope, to an international social enterprise with friends, partners, volunteers and clients around the world. Last week, at a small birthday party, Tom pulled out five key elements of mySociety’s first decade – elements that symbolise different facets of the organisation’s growth and impact. Not all of our many friends, associates and partners could join us at that party, so I’m going to share those elements here. This screenshot shows the brand new design for WriteToThem.com, which we have just recently put live. 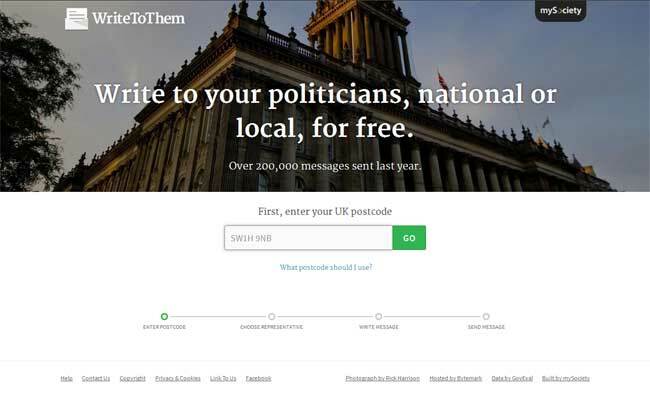 WriteToThem, our site for sending messages to politicians, was the first mySociety launch. That was way back in 2004. This launch, says Tom, was a key moment because it showed that mySociety wasn’t just ideas and bluster – it could build useful things that people actually wanted. WriteToThem was of course followed by sites like FixMyStreet, FixMyTransport and TheyWorkForYou, all built by marvellous developers to whom the organisation owes great thanks (see the foot of this post for a large quantity of thanks). Another of our UK websites is WhatDoTheyKnow, which lets you make or browse Freedom of Information requests, as simply as possible. It’s visited about half a million times a month, and has become a bit of a UK internet institution – a place you go for a certain kind of information. 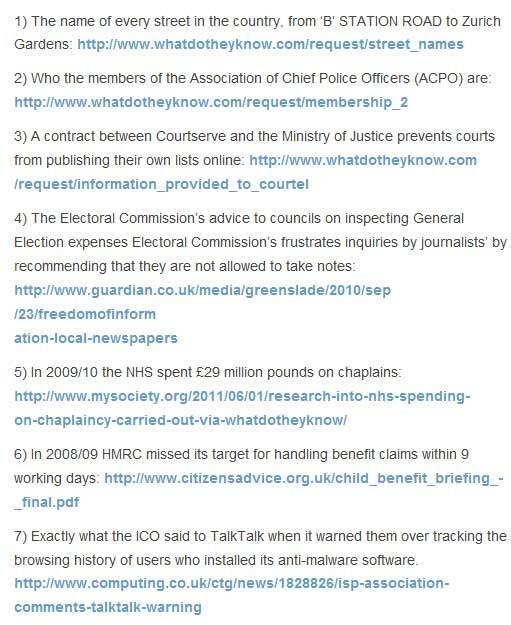 Above is a screenshot from FOI blog Confirm or Deny: a list of 366 interesting things we know because of FOI requests made on the site. It was lovingly compiled by Helen, one of our volunteers; she’s a member of the truly heroic team who help keep that site running, and it represents the dedication that all our volunteers bring to their work. See the thanks section for lots more gratitude to our volunteers – and read more about volunteering for mySociety here. 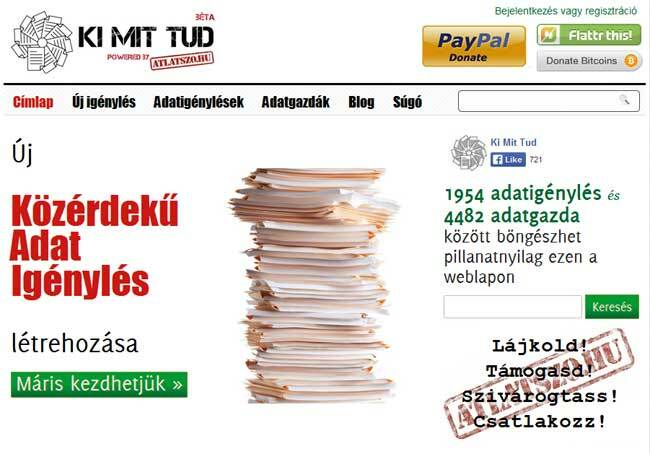 Above you can see a screenshot of Ki Mi Tut, a Hungarian Freedom of Information site, run by a local NGO. It already contains nearly 2,000 FOI requests. This site is a deployment of Alaveteli – the technology we spun out of WhatDoTheyKnow so that people around the world could run sites that would help citizens to chisel information out of their governments. 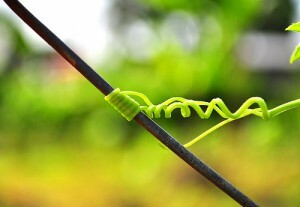 Ki Mi Tut symbolises the growing success of our international team, and mySociety’s international focus more generally. If you know mySociety as the builder of UK sites, you might not know that the great majority of our development efforts today goes towards helping groups like this to run services around the world: helping people to keep an eye on their politicians, obtain information from governments, get streets fixed and so on. mySociety isn’t just a charity any more – mySociety ltd is our trading subsidiary, and is growing fast. It’s twice the size the whole of mySociety used to be, and it’s still growing. As a symbol of this success, we proffer mySociety’s first Emmy nomination – yes, we were surprised too! 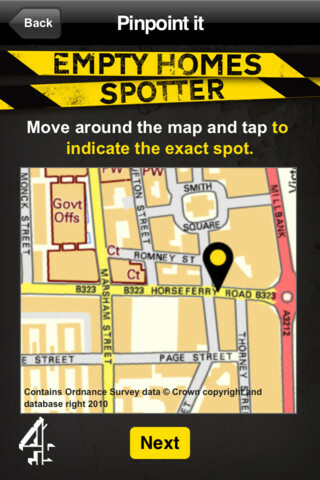 – for a site and app we made for a campaigning TV show in conjunction with Channel 4. Tom finished by giving a glimpse at a new tool we have in development – SayIt – focused on helping people around the world find out more about what decision makers have been saying about things that matter to their lives, their homes, their jobs their kids or their communities. SayIt will go into a public alpha early in the New Year, and we’ll talk more about it then. Unlike our earlier projects, SayIt isn’t being built for Britain first – it’s being built to work anywhere. We’re not building it alone: it’s just one of the components that form the Poplus partnership, a federation of collaborative empowerment tech builders that we have kicked off in conjunction with FCI Chile. And we promise we’ll let you all have a play very soon. So, that’s it – a whistlestop tour of our first decade, and a glimpse at what’s to come. Comments Off on KuvakaZim Launches! Transparency, accountability and open government are huge themes for African citizens as the number of internet and mobile phone users jump up across the continent. People are connecting and realising that the internet provides them with a quick and easy way to engage with politics, be that via social media or citizen engagement websites. 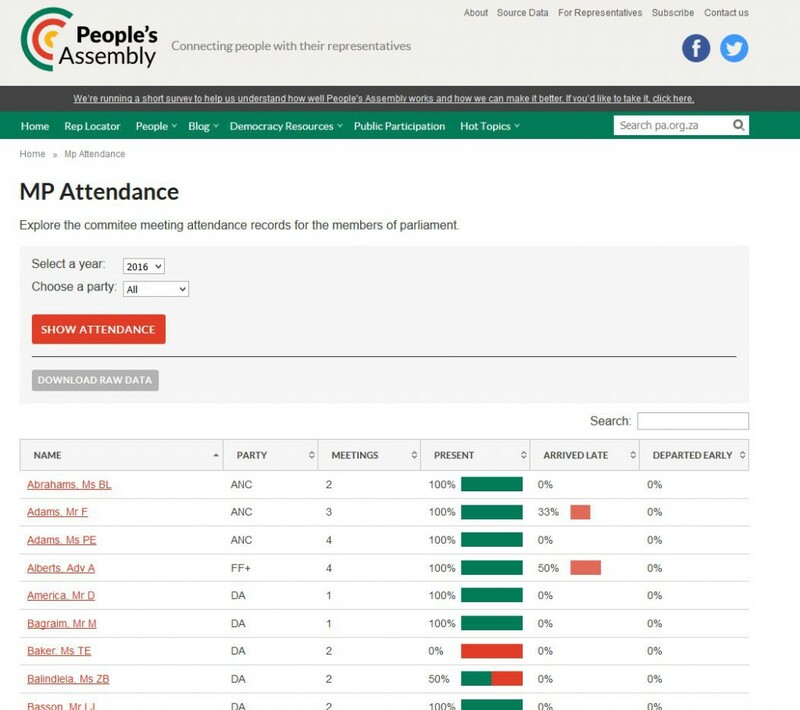 One group have just launched a parliamentary monitoring platform for Zimbabwe using our Pombola platform. We helped them with the original set up, some small technical issues and some general platform advice, but KuvakaZim has only gotten to launch due to the huge dedication and work of its founders, Regina and Peter. “The KuvakaZim project was born from a general concern regarding the accountability and activities of Zimbabwean Members of parliament and their duties in regard of their representative role,” Regina Dumba, lead volunteer of the project, tells the world in her press release. “Many articles, books and studies have explored the issue of good governance in African countries and how it relates to transparency, accountability, and Government performance. Knowing the causes and effects of these plights, we believe it is now time for action in Africa and in Zimbabwe. 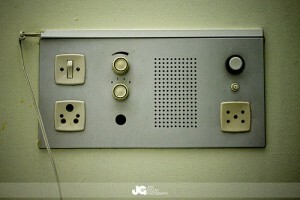 Until we start putting words into action, only then can we rebuild our country.” She continues on the KuvakaZim blog. 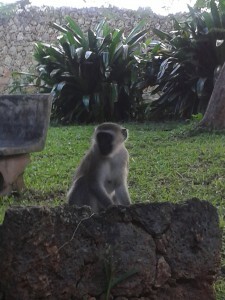 Regina, Cleopatra and Peter, who has been volunteering technical skills for the project, contacted mySociety in July after being inspired by Kenya’s Mzalendo. Since then they have been working tirelessly to gather MP data and information on constitutional rights, how democracy works in Zimbabwe, electoral law and political parties. 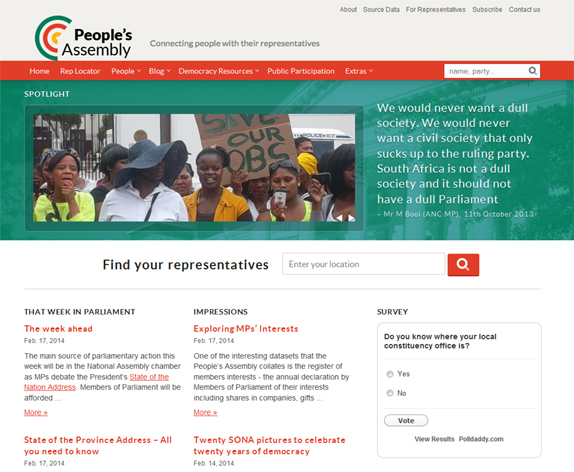 The site now allows Zimbabweans to learn more about how their government works, as well as the duties of their MP and whether they are carrying these out. This has been especially timely because of the recent elections on July 31, 2013. That’s not to say that the site has got to this stage without any hitches however..
It’s been difficult to find official boundary data for Zimbabwe, which means we haven’t yet managed to load an MP look up onto the site. The hope is that this will come in the future, along with other features such as Hansard and the potential to write to your politician. Despite this the team have managed to gain some on the ground volunteer support and launch the site this week. 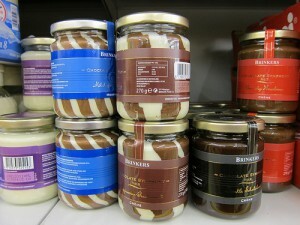 If you want to learn more about KuvakaZim the check out their blog and their twitter stream. We’ll be following their progress too! Image credits: Patola Connection by Whologwhy | Hands up by Pim Geerts | Bend in the Road by Andrew Ashton | All Creative Commons licensed photographs. Thank you for making your content creative commons. We’re good friends with the people at Mozilla. Every Wednesday, they welcome us into their London Moz space for our weekly meet-ups. They are champions of empowering possibilities of the web through Open Source software (a world we’re part of too). And they’re all so smart and lovely. So of course we’d been looking forward to this year’s Mozilla Festival for some time. We had a table at the “Science Fair” on Friday night, where we literally had buckets of sweets (OK, they were little plastic buckets). Tom, our director, and Dave, from our international team, talked about mySociety’s work with anyone who came close. Perhaps people were drawn in by those sweets, or the FixMyStreet demo on the monitor, or even the (new!) stickers we had to give away… but regardless of the lure, we think they all learned a little bit more about how our platforms help empower people’s civic lives: from something as simple as reporting a flickering streetlight, to holding a public authority to account, to monitoring a whole parliament. (That’s FixMyStreet, Alaveteli, and Pombola, if you were wondering). 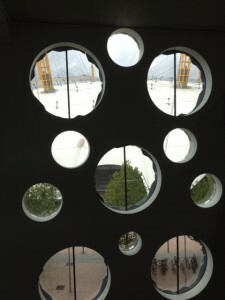 The Mozilla Festival’s venue was, once again, London’s astonishing Ravensbourne, right next to the O2 Millenium Dome. The setting magnifies the wonder of the event. Those big round windows make it feel like being in a spaceship made of Swiss cheese. 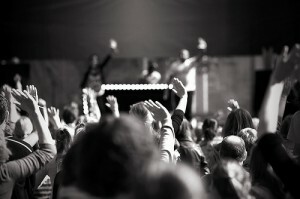 The place is so open, and so vertical, that the activity and enthusiasm doesn’t just spread out, it spreads up. There is making and teaching, learning and sharing, going on across nine floors, and it’s easy to drift up and down from one themed space to another. We met old friends. We got to hang out some more with our Chilean brothers-in-code from Ciudadano Inteligente, and the excellent Gaba from Uruguay’s DATA, together with the good people from the OKFN. We made lots of new friends too. And all this didn’t just happen at the sessions. 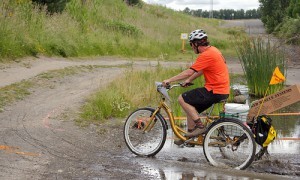 A lot of serendipitous encounters took place by the Alchemy coffee stations. Or on the stairs (khun Toy and khun Hui — hi!). Or in the Alphabet City party venue, afterwards. So a big “thank you” to that Fiery Fox, and an enthusiastic high five (yes, there was an unLondonlike amount of enthusiasm on show — possibly because quite a few of the attendees were over from the USA — which it is impossible not to be caught up by) to all the people we met at the event. Dave grinned his way through a wonderful Scratch tutorial from Code Club, met a whole array of cool people, got answers to some nerdy coding questions, and learnt about the awesome Hive learning networks… and lots more things besides. That already describes a great weekend. But beyond that, we hope we might see a few new mySociety-powered sites spring up elsewhere in the world due to sparks that were sparked at mozfest last weekend. A few weeks ago I wrote a blog about the Flexibility of FixMyStreet. Well, this is the second in that series. I’m aiming to give other ideas for uses of the code for Pombola, our monitoring website, which is currently used for Parliamentary monitoring platforms in a number of countries. I say currently because as with all our platforms it doesn’t *have* to be used for parliamentary monitoring. In Pombola you can create a database of people, speeches and organisations, along with news streams (as a blog), social media streams and scorecards. You also have a geographical element which allows you to search for relevant local information in those databases that feed Pombola, such as your local MP. We’re really interested in how our platforms could be used for unique uses, so if you have any other ideas don’t hesitate to get in touch! The concept: Create a site using the Pombola code base which has profiles of each government that has pledged to reach specific targets by 2020. The profiles would include a contact address for the department dealing with climate change, information on how often the speakers mention climate change, and information on the targets they have pledged to meet. You could scorecard each country to show how well they’ve progressed towards their goals and the best and worst would be showcased on the front page. If you had some time to do your own modifications then using a promise tracker and some infographics like a heatmap would really add to this! Impact it would hope to achieve: The aim would be to create an easily understandable tool for monitoring government pledges to combat climate change worldwide. It would be a great tool for lobbyists and journalists, presenting data as both visualisation and statistics. It would also allow concerned citizens to raise their views through comments on each country profile, thus starting a public dialogue on the site (though this would need moderation). The background: Hospitals in the Middle East and Africa were surveyed in 2012 by an independent research group. The group found that an average of 8.2% of patients suffered adverse effects  of healthcare management. The WHO believed that this is a failing in training and healthcare management systems , which could be addressed. The concept: Creating a website that would keep a database of hospitals across a country. Each hospital would have a profile with a breakdown of the services they offered, the area they covered and statistics about their performance, cleanliness and staff training initiatives. A user would be able to search for their city or district and find the best closest hospital to go to for care. You would be able to scorecard the hospitals to give users a first glance view of what the care is like. This really focusses on the core functionality that Pombola gives; a database of people and organisations linked to geographical locations to make it easy for people to see useful local information at a glance. Impact it would hope to achieve: As well as giving people the information to make the best choices about their health care, this platform could provide important data for donors to enable them to target aid money to the most needy areas. The overall aim would be to hopefully help improve the quality of care by providing the best easily accessible data to people who can help with training. The background: Disaster response teams respond to numerous emergencies each year but sometimes the scope of the disaster can be overwhelming . People are often separated and collecting information on who remains missing can be difficult, causing psychological strain. Dependent on the scope and type of disaster people may be displaced for a significant amount of time. The concept: A stripped down version of Pombola, simply involving mapping and people databases, to allow people to submit their names and the names of their families. Each person would have a status assigned to them (either missing or found) and people would be able to submit their updates via email to the central database. You could also associate found people with the aid organisation that has taken them in, so families would know who to contact. This could also allow the aid organisations to have a profile themselves, giving people the chance to comment to see if their loved ones had been found. 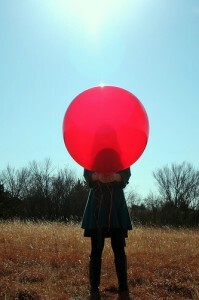 The idea is that it would keep both the records of who is searching for people as well as the people themselves. Impact it would hope to achieve: The idea behind this would be to bring psychological relief to friends and families searching for lost loved ones. It would be an electronic bulletin board of missing and found people, and even if people had no access to the internet, NGOs or civil society groups coordinating relief efforts could have, therefore would be able to provide a non-internet version of this service. It was great to see everyone at the hacknight on Wednesday. This time, ideas ranged from using the FixMyStreet Platform for reporting of Trading Standards transgressions, to installing a Mzalendo for Greece. 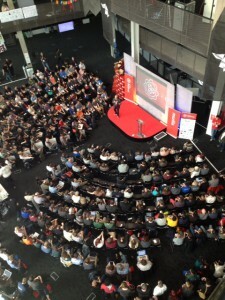 We hope that these ideas will flourish, and many others will arise at our future hacknights. Talking of which, don’t forget to reserve a place if you’d like to come along. 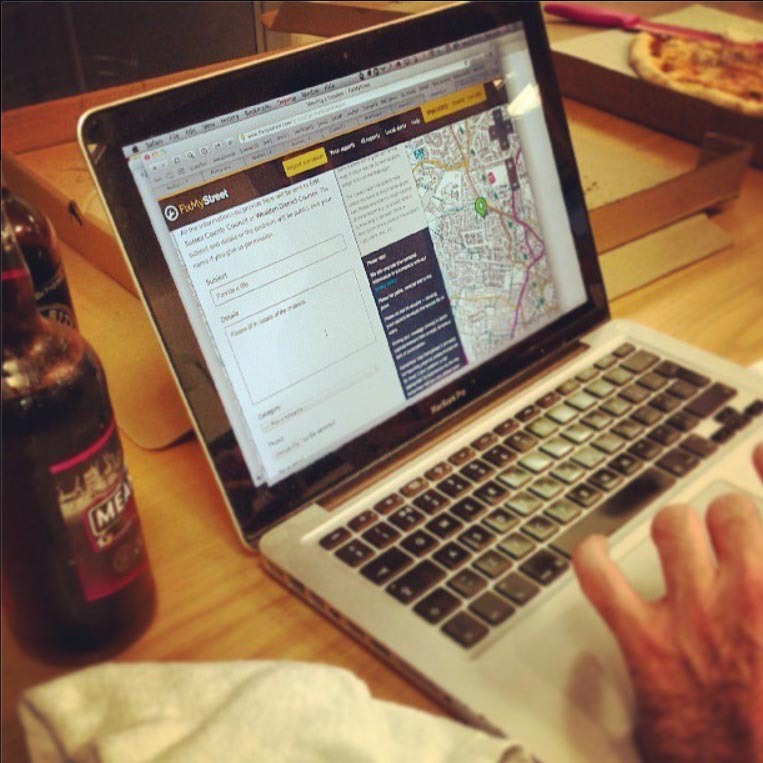 Hacknights are weekly. All the details are here. 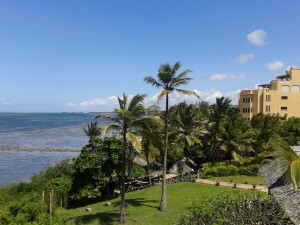 The International team recently had an opportunity to meet with Mzalendo founders in Kenya. As you likely know, Mzalendo is the Kenyan Parliamentary Monitoring site similar to TheyWorkForYou which mySociety has helped re-build since June 2011 with support from the Omidyar Network. Being in Nairobi gave us the opportunity to meet with some of the organisations who provide information that helps power Mzalendo.com. These included the National Taxpayers Association , whose detailed research into the usage of Constituency Development Funds (CDF) has been invaluable in enabling us to create scorecards on the site. The scorecards are used to rate MPs based on a number of criterion including (pre-elections) how they had overseen the spending of CDF funds in their constituency, their accessibility to their constituents and contributions to debate in Parliament as presented in the Hansard. We also met with the UN/DESA representative behind the www.bungeni.org initiative that has been working with several African parliaments interested in using ICT to open them up to the public. We also attended the Open Government Partnership (OGP) Africa regional meeting in Mombasa. This two day conference brought CSOs and government officials from 13 African countries (plus a few from other parts of the world) together to discuss how open government works in Africa and to share experiences and recommendations. For mySociety the conference was a chance to meet CSOs and government officials from other countries in Africa to see how they are working towards openness in different ways. spoke briefly on the 2nd day on various topics such as making proceedings of parliaments and legislatures available in usable formats (a big theme for us across all the parliamentary monitoring sites we have helped create) and voting records. On the subject of voting, we managed to spark some debate, as the previous evening Kenyan MPs had voted to raise their salaries. This makes them the highest paid government officials in the world comparative to the average national salary. It was good to finally put names to faces for some people we’ve been working with remotely, like Selima (pictured above in the pink top) from marsoum41.org, the Alaveteli inspired platform based in Tunisia. Selima raised some really interesting points about how important, and difficult, it is to keep momentum going after post-revolution elections. We also met Gilbert Sendugwa from the Africa Freedom of Information Centre to talk about the potential of using Alaveteli platforms further across Africa. We should be discussing a pilot in one or two countries (yet to be decided!) which will begin in August 2013. That’s pretty exciting for us! About eight African countries have Freedom of Information (FOI) laws but their current implementation is weak by international standards. “Outside my father’s house runs a badly maintained road, but the local council didn’t have enough money to pave all of it, so they paved only sections. When I asked my father if he, or any other local residents had been consulted, he told me he was surprised he hadn’t been. 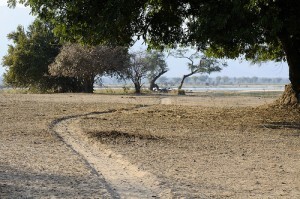 He said if they had been consulted, and told money was limited, they wouldn’t have recommended paving only sections, but concentrating on a specific area of the road that had been the cause of many accidents.” Now the dangerous part of the road remains unrepaired, and the paved sections will cause problems as the disintegrate over time. 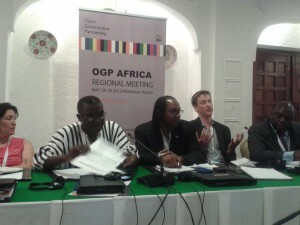 lead toward greater collaboration between governments and CSOs in Africa. 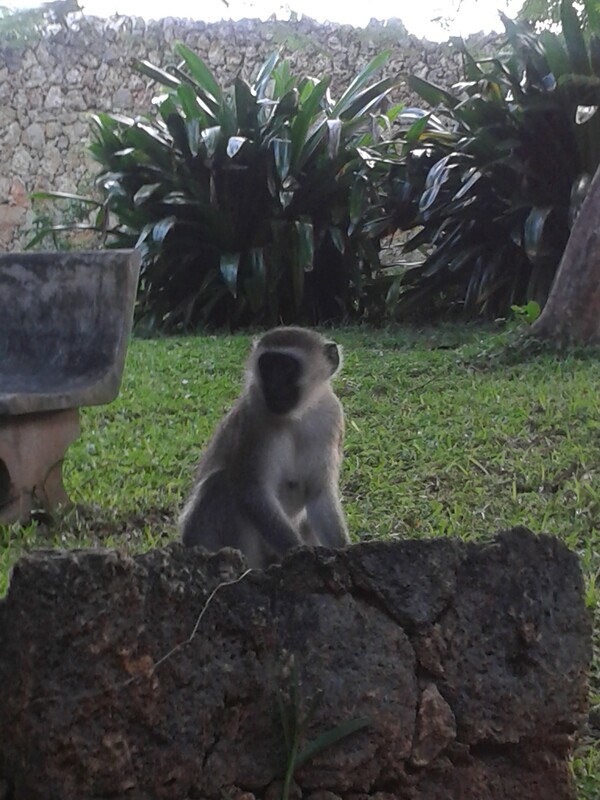 Also, though we may not have seen lions or giraffes, some local monkeys did express an interest in joining the conference, if only during lunch time!